A self-deprecating excuse for 30 years came to an end this past Friday night. With the help of my fellow Oil Money FC teammates, I scored three of our six goals in a victory. Along with the goal I scored in our first game together, I can now say those two own goals in 1986 are in the distant past. But what's the big deal here? 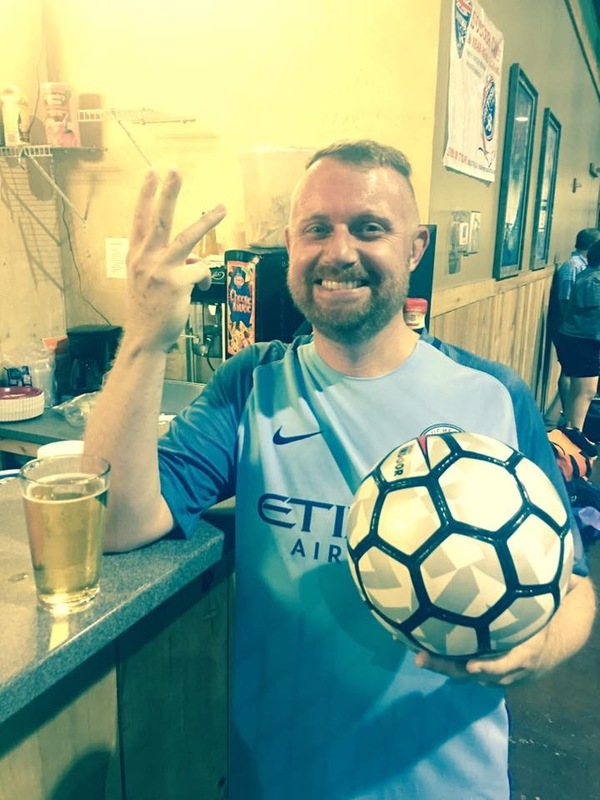 I scored goals in a league where the points don't really matter and everyone gets a free beer afterwards. This is like a friendly; not the Champions League final. I make a big deal out of a lot of things, and arrogance can come across when describing any sort of accomplishment. It's probably because I often invest a lot of emotional baggage into why I cannot competently do things in the present. In other words, I make a lot of excuses. Scoring those goals means I don't have to let the past shackle me. Whether it's with what happened at previous jobs, in previous relationships, or previous friendships, life isn't over when the outcome is not what you hoped it would be. Life is not over as long as you keep moving forward. I am not the best player on my team. Other players currently play and/or coach, and they know what to do. I, on the other hand, try to remember what I learned when I played as a kid, along with what I have seen in football matches played all over the world. What usually happens when I get the ball is push it down the pitch some and then pass to a fellow player who is in a much better position. I often look like I freeze up when I play. There's something to work on. Going into the match on Friday, I didn't think about anything other than playing well and not be afraid to go for the ball. This is not aggressive football, but I have seen some people collide and have to be helped off the pitch. Accidents happen, and as long as you're playing like you want the ball (and not aiming to break your opponent's bones), you will be fine. Opportunities presented themselves, and I was lucky to connect three times with the back of the net. I got a hug from our team leader Mark (who, along with Joel, made me feel welcomed to the Manchester City watching group in the first place), and I twirled my kit around my head after the second and third goals. Sure, it was a bit much, paying a tongue-in-cheek homage to Sergio Aguero's memorable goal in 2012 against Queens Park. But there are times in life where you just have to celebrate. That was one of them.